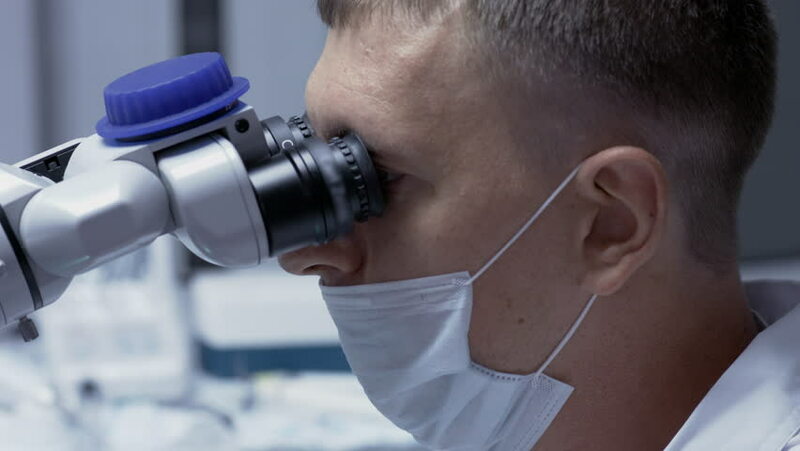 4k00:08Ophthalmology - Doctor During Laser Eye Surgery. hd00:14Close up shot of mixing of drug. Nurse using syringe to squirt blue fluid into ampoule. 4k00:08A scientist looking through the lens of a microscope at human cancer cells in a medical biology research laboratory. hd00:12Laboratory researcher working with science equipment in sterile conditions. Scientist working with a microscope.